The "Sorry Not Sorry" singer just hit a major milestone. On Thursday, March 15, 2018, Demi Lovato took to Twitter to celebrate six years of sobriety. "Just officially turned 6 years sober. So grateful for another year of joy, health and happiness," she wrote. "It IS possible." 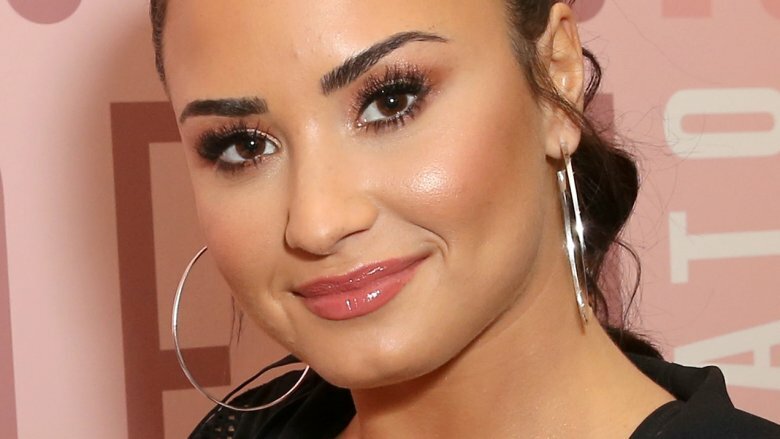 In October 2017, Lovato released a documentary on YouTube, Simply Complicated, and shared details about her struggles with drugs and alcohol. She revealed that she'd first started doing drugs when she was just 17 years old when she tried cocaine. Speaking about her drug addiction, she reflected on her relationship with her father and how his genetics may have influenced her troubled lifestyle. "My dad was an addict and an alcoholic," she explained, "and I guess I always searched for what he found in drugs and alcohol because it fulfilled him and he chose that over a family." Lovato had previously opened up about the reason she got sober during an interview with The Jonathan Ross Show in September 2017. She revealed that one of the reasons she cleaned up her act was so that she could spend time with her younger sister, Madison De La Garza. She explained, "I knew that I had a lot of life ahead of me but one of the main reasons of getting sober was so that I could be around my little sister because my mum and dad (said I couldn't be around her) if I was doing stuff." The singer continued, "There were a few (interventions by family and friends) but the final one, everyone was like, 'We are no longer going to leave, we are leaving,'" adding, "That was the moment when I thought, 'OK I really need to get help and get sober.'"